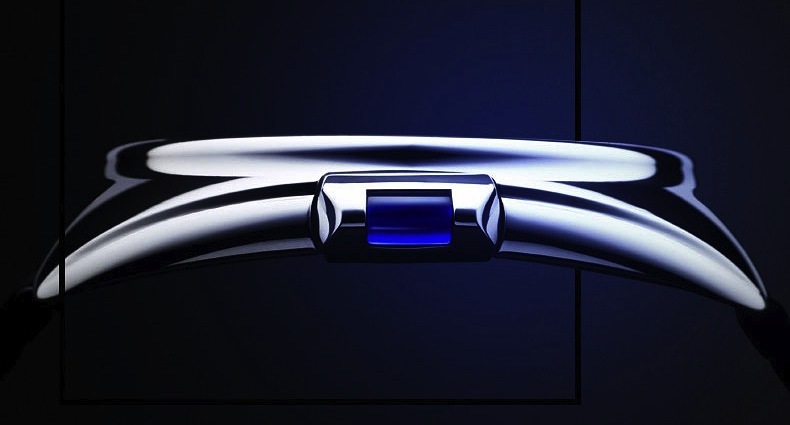 There’s a new and extremely beautiful watch on the scene and it belongs to Cartier. The name Clé de Cartier comes from the word “key” in French, and the crown on this watch as a unmistakable resemblance to one. This winding mechanism on the watch has been specially designed to be ergonomic, while also introducing a new gesture of the hand which makes for setting the date and time completely effortless. 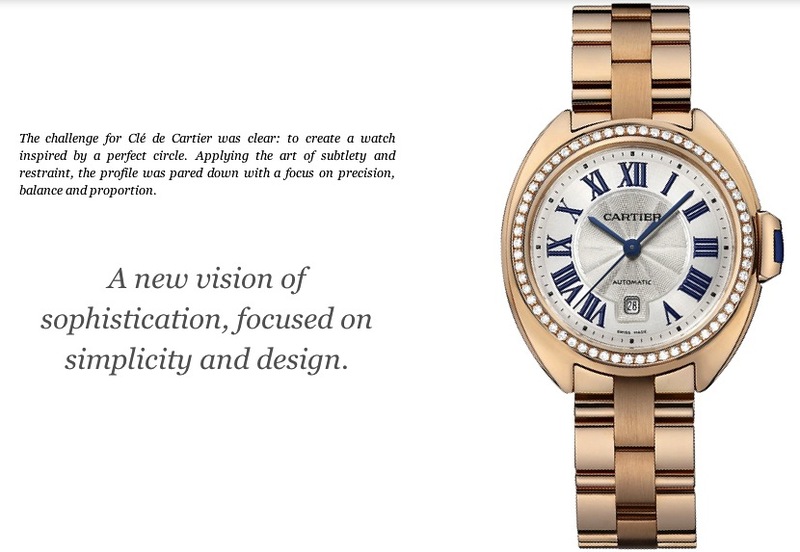 Cartier’s initial aim was clear with this watch. They wanted to create a new shape inspired by a circle and to introduce a new, sleek, curved aesthetic into their watchmaking vocabulary. I think they have definitely achieved that with this gorgeous new design! The curved profile of the watch case highlights its streamlined, organic and ergonomic design making sure it contours and hugs the wrist, allowing for ease and comfort. 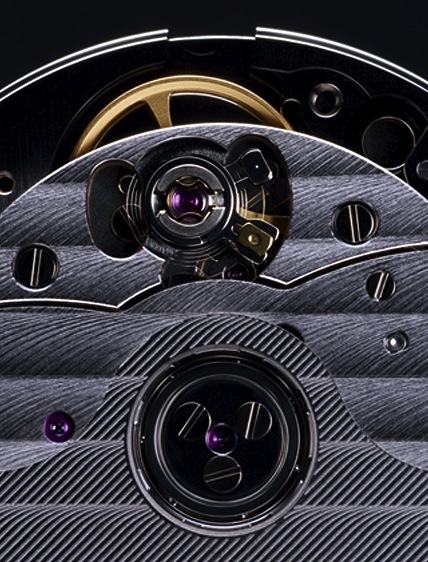 Developed, produced and assembled by the Cartier Manufacture’s craftsmen in Switzerland. This beautiful new watch comes in 8 different designs, for both men and women, some emblazoned with diamonds while others feature a slightly plainer face. Three versions of gold are optional, including yellow, white and rose or you can have a leather strap if you prefer. One thing i for certain and that’s the fact that with this watch gracing your wrist, you will definitely stand out from the crowd. You can find out more about this watch at the Cartier website here and here and you can also check out the video and the mechanics below. The design of this gorgeous Cartier watch is a testament to precision, balance, and proportion. This means that right angles have been eliminated, the bezel is completely rounded, and the lugs have been softened. This new watch is elongated and refined with the crown showcasing a sapphire which has been cleverly slipped inside the structure to seamlessly blend in with the surrounding metal. 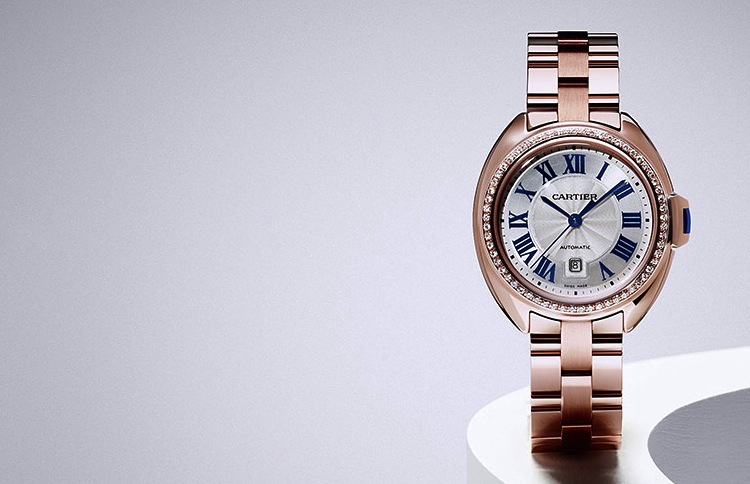 This Cartier watch was named after the year the Maison was founded in 1847. It has a MC movement that integrates a fast barrel, which lends remarkable chronometric stability, while a bidirectional automatic winding mechanism provides exceptional robustness and durability. Finally, the watch is decorated with a Vagues de Genève motif, a date indicator and a 42-hour power reserve. 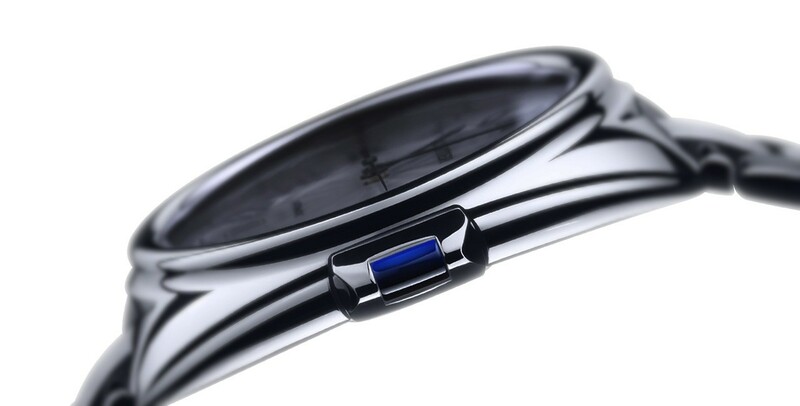 With a diameter of 25.6 mm, it was designed according to the same principles as the case to be streamlined and sleek. Aren’t the mechanics just beautiful?